Author: Wilder, Laura Ingalls Set In . . . The eighth book in Laura Ingalls Wilder's treasured Little House series, and the recipient of a Newbery Honor—now available as an ebook! This digital version features Garth Williams's classic illustrations, which appear in vibrant full color on a full-color device and in rich black-and-white on all other devices. Fifteen-year-old Laura lives apart from her family for the first time, teaching school in a claim shanty twelve miles from home. She is very homesick, but she knows that her earnings can help pay for her sister Mary's tuition at the college for the blind. 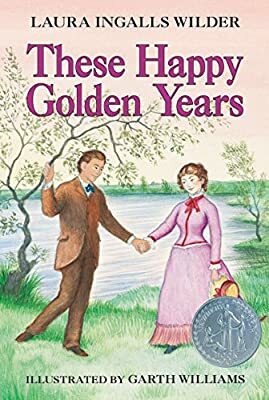 Only one thing gets her through the lonely weeks—every weekend, Almanzo Wilder arrives at the school to take Laura home for a visit. Friendship soon turns to love for Laura and Almanzo. The nine Little House books are inspired by Laura's own childhood and have been cherished by generations of readers as both a unique glimpse into America's frontier history and as heartwarming, unforgettable stories.